Getting a simple vaccine now can save you all kinds of shingles pain, irritation, and discomfort down the road. Rosanne Leipzig, MD, PhD, is Professor and Vice Chair of the Brookdale Department of Geriatrics and Adult Development at the Icahn School of Medicine at Mt. Sinai in New York, N.Y. She also serves as Editor-in-Chief of the monthly publication Mount Sinai School of Medicine Focus on Healthy Aging. 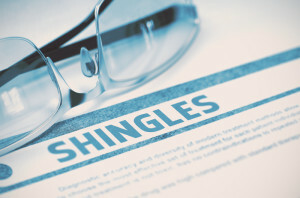 Shingles pain can be debilitating for seniors. I experienced the effects of shingles several years ago, and it’s something I’d rather not repeat. I hope that sharing my personal experience will encourage you to get vaccinated or, if not, to recognize the symptoms of shingles early enough to benefit from antiviral treatment. Shingles strikes without warning—I first noticed a sudden, stabbing pain on one side of my back, quite different than the dull ache you get from a cramp or pulled muscle. The skin there was also very painful when touched or when my clothes brushed against it (a sign called allodynia, a painful response to a usually non-painful stimulus) I also felt it less intensely in parts of my arm. Does 'Living' Keep You Awake At Night? Living with Alzheimer's. Living with a stroke. Living without your driver's license. 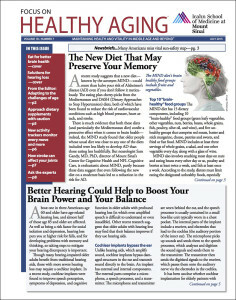 Reduce your fears about aging and begin reading Focus on Healthy Aging. Start your risk-free subscription now! Shingles pain is particularly intense because it is due to nerve irritation—my pain had a shooting, burning quality, like a bolt of electricity. A few days after the pain started, a rash of tiny blisters developed in a different area, on the side of my chest under my arm. Over the next few days, painful red blisters sprouted around the front and back of my chest, tracking the course of one of the spinal nerves from the vertebrae around toward the sternum. Our contributor knows first-hand how “intense” shingles pain can be. I suspected that my pain might be from shingles, and called my doctor immediately. Such fast action is vital, because starting antiviral medications within two or three days of the onset of the rash can reduce its severity and duration, and also can reduce your chances of developing post-herpetic neuralgia, which can cause long-term neuropathic pain. To take the edge off shingles pain, I took pregabalin (Lyrica®). Gabapentin (Neurontin®) or an opioid like oxycodone or codeine would also have been effective. Lidoderm® patches, which contain the local anesthetic lidocaine, also helped—in addition to numbing the skin, the cooling sensation was soothing (cool, wet compresses can also be used on areas affected by the rash). Some people may get relief from topical ointments that contain capsaicin, the active ingredient in chili peppers. You can get this over-the-counter, but make sure you follow the directions carefully. Capsaicin causes a warm, stinging, or burning sensation when first used, and you need to wash your hands carefully after apply it. I also used the arm on my affected side as little as possible, since moving it pulled at the skin where the rash was, aggravating my discomfort. I scheduled my shingles vaccination after I recovered, and I recommend that you also get it. While the vaccine won’t guarantee you 100 percent protection, it will reduce your risk of shingles by half, and also can protect those of us who have already had the condition from a recurrence. And remember, if you experience any intense, unexplained pain, or an outbreak of blisters, contact your doctor immediately. Is a Pinched Nerve Causing Your Pain? 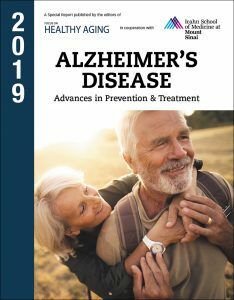 Rosanne Leipzig, MD, PhD, is Professor and Vice Chair of the Brookdale Department of Geriatrics and Adult Development at the Icahn School of Medicine at Mt. Sinai in New York, N.Y. She also serves as Editor-in-Chief of the monthly publication Mount Sinai School of Medicine Focus on Healthy Aging. Visit her website at rosannemd.com. aging, children, ed, focus on healthy aging, gabapentin, healthy aging, muscle, neuropathic pain, pain, pinched nerve, Shingles, shingles pain, skin.